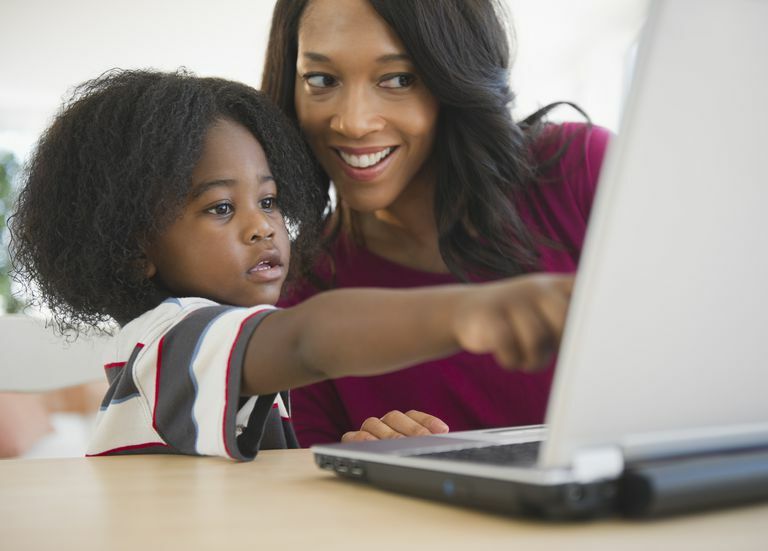 One of the most wonderful things about technology is the way it can be used to supplement your child's education. As parents, we're always ready (and sometimes desperate) to hear about different methods to help our child learn and be more academically successful. Starfall.com is a great supplemental tool for early childhood educators in the home or classroom and can appeal to a range of learning styles. Starfall.com is used by early childhood educators, in various settings, either as a key component or a supplement to the education received in the classroom. It can also be used in Special Education and English Language Development programs. It's a great homeschooling option for making the basics more engaging. And it's frequently used by parents who want an after-school educational alternative to a video game, or the TV. Anyone interested in helping young kids engage in learning can benefit from using the site to supplement other tools. There are so many things that are great about this website! Made by Professional Educators: These folks are top-notch, and they understand the learning styles and needs of young kids. You can trust that the content meets the highest standards and that your child is going to learn in a safe and interactive way. Easy to Navigate: It's so easy that even a preschooler can move through the sections without getting stumped. Fun and Interactive for Kids: The sound and animation are so engaging for young eyes and ears, they can get caught up in the fun and forget they're learning. Plenty of High-Quality Content: Even if you're just on the free "classic" section, there is plenty of engaging content on Starfall.com to keep your child busy for weeks. So, your child won't get bored with it after only a few visits. A Safe Space: There are no ads for kids to click on and the content is all age appropriate. It's hard to find free content that meets that criteria online today. With Starfall.com what you see is what you get. In other words, lessons don't adapt as your child masters content and new things don't unlock. Within the four blocks, there is variety, but no gradual increase in difficulty to match how your child's learning has progressed. Also, the content doesn't go much past second-grade level, so when your kids get older, you'll have to look elsewhere. In addition, like any good tool, there's a price to pay if you want to go deeper. To get into the "More Starfall" content, you have to pay for a license, which starts at $35 per year for basic home use. There are high costs for classroom and school use. Starfall has free apps available for Android and iOS devices. There are also a collection of paid apps available that complement the Learn to Read, ABCs, and Numbers areas of the website content. Starfall.com is a rich resource for parents and teachers of children. It can add depth to any early childhood curriculum. Can You Teach Handwriting With Cursive and Print Fonts? Absolutely!